When it's time to turn in for the night, this one-bedroom, two-and-a-half bathroom cabin can comfortably accommodate up to eight guests. The ground floor master suite features a king bed, wall-mounted flatscreen TV, and en suite bathroom. Head upstairs to find the two lofts. One functions as a game room with a seating area and air hockey table; head across the catwalk to access the second loft sleeping area, which includes a queen-size bed, two built-in twin beds, and a full bathroom. For additional guests, the living room couch pulls out into a queen-size sofabed. Head south to Great Smoky Mountains National Park for hiking and mountain biking, keeping your eyes out for the local flora and fauna, including coyotes and white-tailed deer. You can also explore the park from the comfort of your car; between old cemeteries, historic buildings, and fields of wildflowers, there's no telling what you'll discover. Parking Notes: Parking for "A Little bit of Heaven" is just past the sign at the top off the main road. We had a great stay. There were 7 of us and we all fit comfortably. 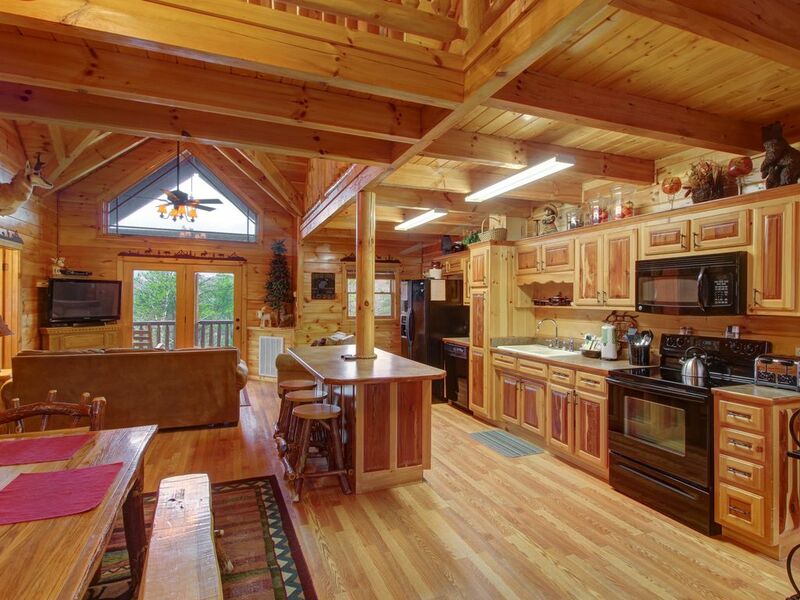 It’s a beautiful cabin! It is a bit close to surrounding cabins and the fireplace is not a “real” one, but those were the only bummers!